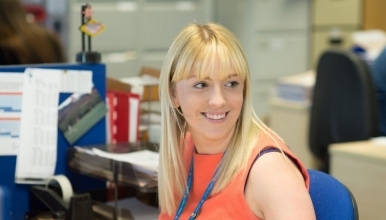 An exciting opportunity has arisen for a part-time Higher Level Medical Secretary within the Unscheduled Care Group to provide a valuable service to our Diabetes/ Endocrinology Physicians at The Royal Shrewsbury Hospital. The post is Band 4 and 25 hours per week over 3.5 days (Tuesday to Friday). The successful candidate should be an experienced Band 3, Support Secretary/ Band 4, Medical Secretary, who is an enthusiastic and motivated individual with excellent typing, organisational and interpersonal skills. You would be required to work closely with the administrative and clinical team, supporting the work of the department in the provision of an efficient and effective office service. Candidates should possess a professional attitude to their work, be able to demonstrate good communication skills and have the ability to work flexibly in a busy environment. You will be required to work as part of a team, as well as being able to use your initiative and prioritise your workload to meet deadlines. Working alongside a team of Medical/ Support Secretaries, the post would provide an excellent opportunity for development and progression for a motivated candidate. Qualifications: You will hold RSA level 3 or equivalent and you must possess excellent audio typing skills. Educated to GCSE level or equivalent. Previous experience as a Secretary with knowledge of medical terminology is essential.